Bryant Ng will merge French dishes with Vietnamese flavors and a lot more at Cassia. Walk into chef Bryant Ng’s grand, 16-foot-ceilinged Cassia, look beyond the sweeping dining room and the elegant chilled seafood bar, and you’ll notice that the kitchen glows. There’s a grill area with a wood-burning stove and counter seating, bathing in the warmth of the lights above. Beyond that is where you’ll find the city’s and arguably the country’s foremost practitioner of Southeast Asian food behind the woks when the Santa Monica restaurant opens later this month, creating dishes that could redefine the idea of a brasserie in L.A. Ng will be there with his staff of veteran cooks, including some he worked with and under at Campanile and Mozza. He’ll have his large-format fish and shellfish, organic rice, Red Boat ingredients from Vietnam, the anchovy salt he likes to use on steaks, and the clay pots he and his wife/partner Kim Luu-Ng found in Westminster after an arduous quest where he encountered “shady” characters. “I’ve never searched so hard for anything in my life,” Ng says. He’ll use clay pots for dishes like his take on pot-au-feu. As Cassia partner Josh Loeb notes, if you take the bread, dab it with mustard, and put meat on top, you feel like you’re eating a French dish. “If you get the herbs and the broth, it changes everything,” Loeb says. Cassia’s grilled Creekstone Farms steak frites will also get an Asian spin with Phú Quốc island peppercorn sauce and shallot butter. Ng will serve kaya toast. He’ll have Vietnamese “sunbathing” prawns, a chilled dish marinated in garlic, Fresno chiles, and hot sauce. Expect Vietnamese pate with pickled chiles. Escargot will be soaked in lemongrass butter. There will be a jellyfish salad in this refined but casual-cool spot, where you’re more than welcome to come for a snack and a cocktail, or ball out with a whole Singaporean white pepper crab. It’s real estate that made this unlikely venture happen. Loeb and Zoe Nathan are the dominant Santa Monica husband-and-wife restaurateurs who recruited the Ngs. The 5,000-square-foot Cassia, with 200 seats including the private dining room and patio, is in the base of an 1937 Art Deco building where Verizon is a tenant and where phone calls are routed through. When Loeb and Nathan were approached about the location, they weren’t looking to open anything else. They were content and plenty busy with an empire that includes Rustic Canyon, Milo & Olive, Huckleberry, and Sweet Rose Creamery. But then they saw the architecture, gazed into the kind of space that nobody constructs anymore, and felt the rush that comes with pure possibility. In fact, Loeb and Nathan are also working to open Esters, the building’s adjacent wine bar and store with bottles that can be consumed at Cassia, later in the summer. (Cassia will have its own wine list, and Esters will provide the reserve list.) Esters, a partnership with Rustic Canyon wine expert Kathryn Coker and her husband Tug, will have a menu of small plates from Rustic Canyon chef Jeremy Fox. But the larger Cassia is the main event. Once Loeb and Nathan realized that they couldn’t pass up this address, it was time to think about what they wanted to do with their biggest restaurant yet. This being L.A., why not create a brasserie with Asian flavors? Cassia has been a long time coming. Ng, who lives in the San Gabriel Valley and wasn’t exactly looking to open a Westside restaurant that would have him battling traffic for 90 minutes each way, understands better than most the wonders and perils of #changingLA. He had to close Little Tokyo’s The Spice Table at the end of 2013 after learning the building would be demolished to make way for a subway station. Then he had to wait for Cassia’s building to undergo a multimillion-dollar seismic-readiness update. His daily commute has been horrendous, but the benefits of his new location include Cassia having a bike, a beach cruiser with a cart, for trips to the city’s most prominent farmers market a few blocks away. The Spice Table, of course, catapulted Ng into national acclaim. He became a Food & Wine Best New Chef in 2012 by both honoring and elevating hawker-stand classics: kaya toast, beef rendang, Hainanese chicken rice, satays, and laksa that reminded me so much of eating on the streets of Singapore and Malaysia. When I first dined at the restaurant, I was a visiting New Yorker, and The Spice Table and what it represented helped make me realize I would love being an L.A. resident. Since then, L.A. has seen Southeast Asian influences emerge all over its white pepper-hot dining scene. Tin Vuong has become a shot caller in the South Bay and beyond after opening Little Sister, which should debut its Downtown outpost this summer. Louis Tikaram has turned up the heat at West Hollywood’s buzzing E.P. 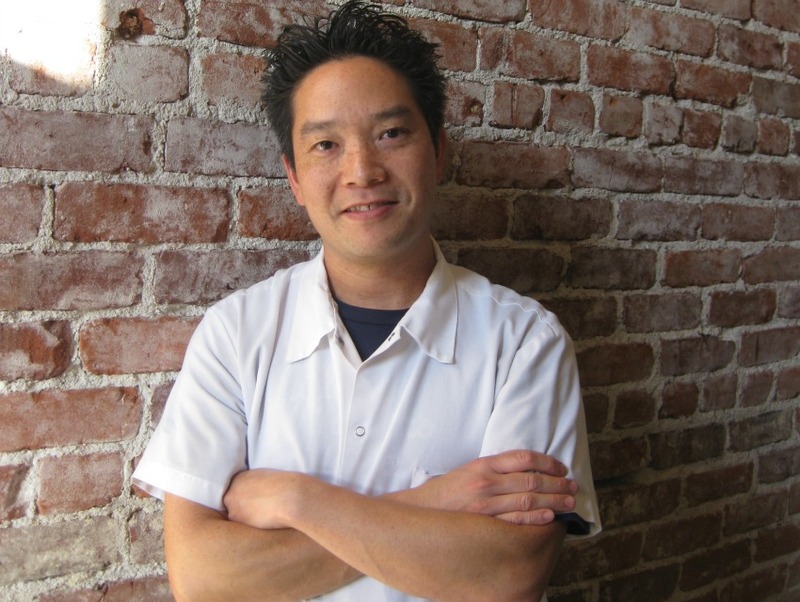 & L.P. Shawn Pham is getting ready to open Simbal a block from The Spice Table’s old address in Little Tokyo. On the more casual side, there’s Yuli Miller’s Kaya Street Kitchen on Fairfax Avenue and the Hainanese chicken rice at Alex Chu’s New School Kitchen on Sawtelle Boulevard. Now here comes Ng to create something brand-new but also take things back to the start. The hood of the wood-burning stove came from The Spice Table. So did some stools. Those bird-cage fixtures at The Spice Table? They’re hanging at Cassia. It’s up to Ng now, turn on the bright lights.